Public Knowledge's Harold Feld is one of the leading and most longstanding pro-Net Neutrality telcoms lawyers in America, and in a post, he analyzes Trump FCC Chairman Ajit Pai's plan to punt Net Neutrality enforcement to the Federal Trade Commission, by looking back on the four most significant decisions the FCC ever made on Net Neutrality, and shows that the FTC would have had no authority to act on any of those cases. OK, is it unfair? Again, contract disputes between providers of consumer services and the various upstream inputs are not generally what falls into the “unfair” analysis of the FTC’s Section 5 authority. Take a typical case when a cable programmer and the cable company don’t agree on retransmission terms (a “retrans dispute”) that may result in a blackout. That is not actionable under Section 5 as “unfair” to consumers. So, no unfairness, no deception. 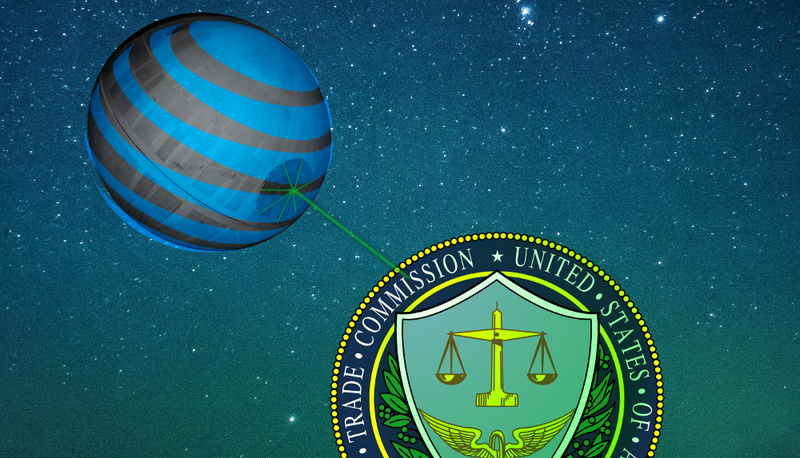 No basis for FTC authority, no matter how much the peering dispute may screw things up for your broadband connection — or interfere with you getting a service you pay an edge provider for. Nor does it matter that the ongoing dispute threatens the stability of the broadband network as whole, and has lots of spillover effects on lots of businesses and consumers that aren’t in any way, shape or form involved in the dispute. That’s why we have a Federal Communications Commission with all kinds of special power over telecommunications platforms. We consider telecom a special case (like finance, or health, or power or a bunch of other “sector specific” industries with broad impact on the economy as a whole), so we have a special agency to address telecommunications with an express instruction from Congress to keep things from melting down and impacting everyone else. So once the FCC is out of the picture, that pretty much eliminates any broader concern for broader impacts, or issues relating to general consumer frustration. A provider offering crappy service because of a contract dispute with someone else is not “unfair” no matter what the overall impact. So the FTC would have no jurisdictional hook should we see a repeat of the 2014 peering dispute — with Netflix or anyone else.